Lithuanian Talmudist of the eighteenth century; born at Wilna; brother of Elijah b. Solomon (Elijah Wilna). 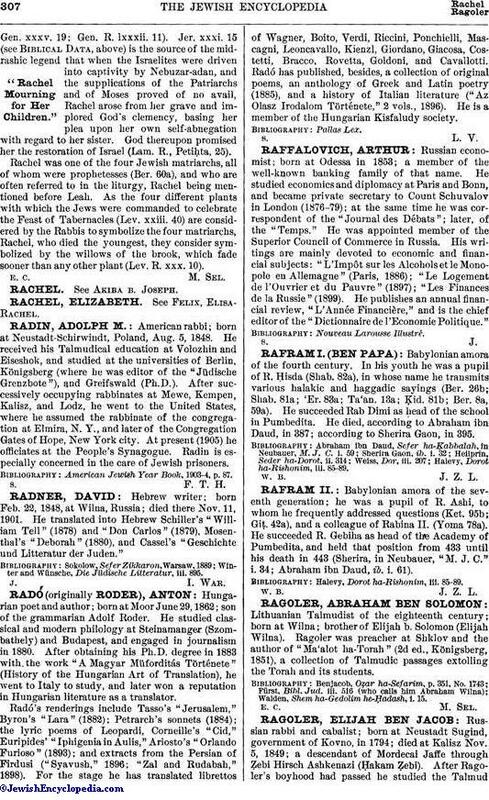 Ragoler was preacher at Shklov and the author of "Ma'alot ha-Torah" (2d ed., Königsberg, 1851), a collection of Talmudic passages extolling the Torah and its students. Walden, Shem ha-Gedolim he-Ḥadash, i. 15.